Bridge is a symbol of continuity. Made entirely from a 1.2 mm laser-cut brass sheet, the lamp gains three-dimensionality and structure thanks to the bends on the sides. Without a proper base but supported instead on four points Bridge differs from the canonical concept of lamp becoming a decorative and sculptural element. 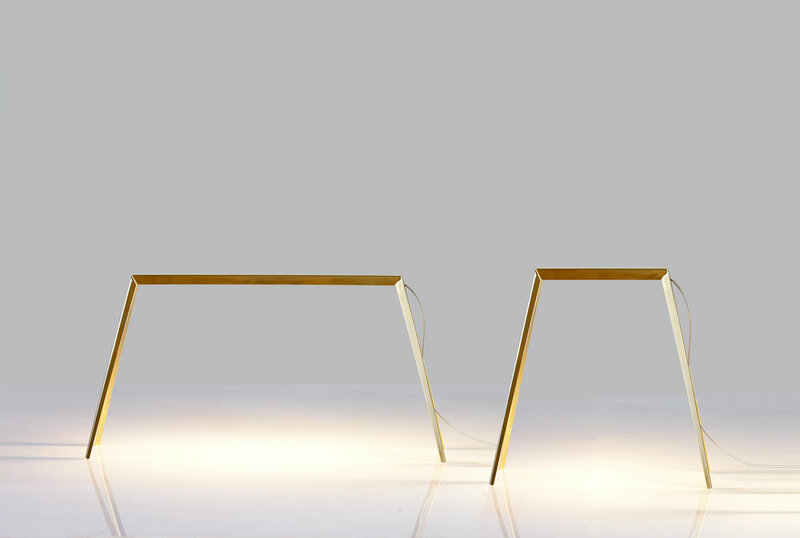 Capable of attracting natural light when turned off and of expressing an elegant and consistent luminosity when on thanks to it’s low-consumption LED strip, Bridge becomes a true “bridge” of light.The juxtaposition of polished brass, a noble material with a nod to the past and the modern technologies used make this lamp unique and contemporary. Bridge lamps are part of the Triennale Design Museum collection.